Sunday's sister race, the Scafell Sky Race (SSR), may be shorter (42km, 3,000m ascent), but it was no less star-studied or dramatic. 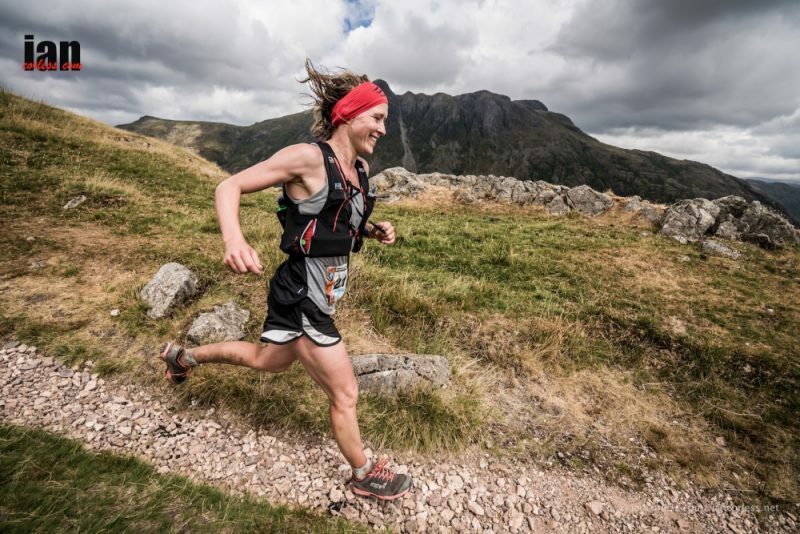 In fact it was strongest line-up of a UK mountain race so far this year. The SSR line-up included two stars from the Great Britain (GB) team that earned a team silver medal at the 2018 IAU Trail World Championships, Tom Evans and Jonathan Albon, who placed third and fourth in Spain in May. 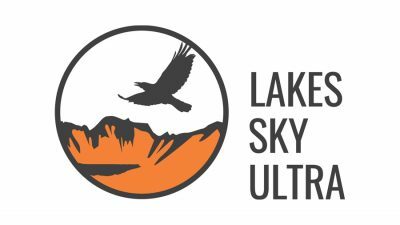 GB 100K-runner and Dragon's Back-winner Marcus Scotney, fell-running legend Steve Birkinshaw, Lakeland 50 course record-holder Casper Kaars Sijpesteijnwere just some of the other names in a strong field. 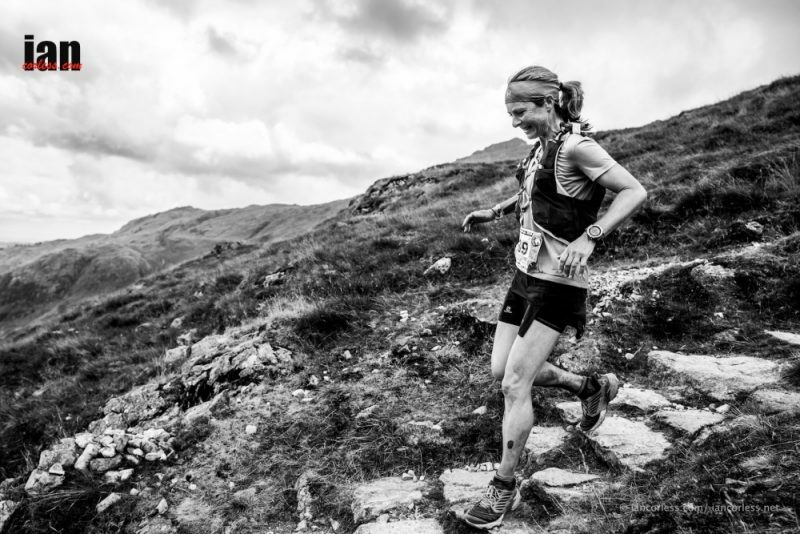 The women's field was equally stacked, with GB trail-runner Sally Fawcett facing competition from GB mountain-runner Georgia Tindley, experienced ultra-runner Sarah Sheridan, Jonathan Albon's wife Henriette and his sister Beth, and last year's Lakes Sky Ultra-winner Catherine Slater. 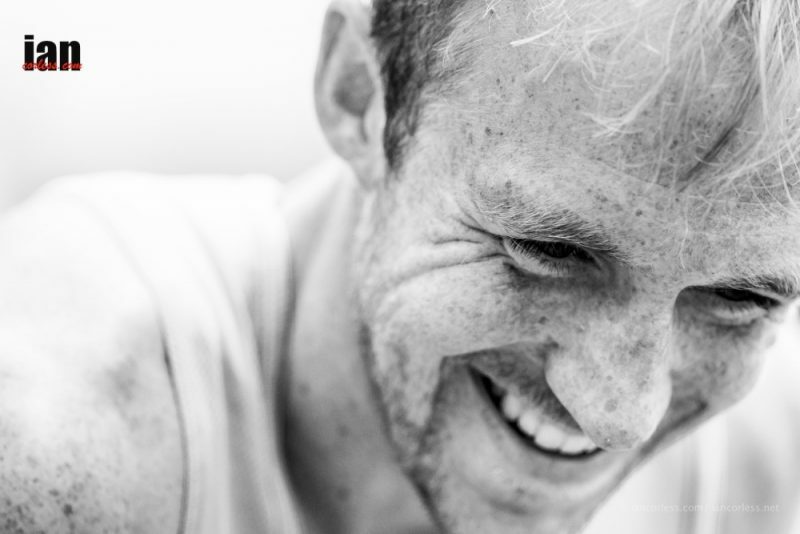 The 196 runners, numbers were swelled by SSR being named as a qualifying race for the Skyrunning UK National Team for the Skyrunning World Championships. Runners left Rosthwaite at 9am, with Evans and Albon setting a scorching pace at the front on a short section of road then good trails. The route then climbs past Sour Milk Gill waterfalls, up the Gillercomb Valley to the summit of Green Gable, technical singletrack led past the Napes Needle (where rock climbing originated, in the 1880s), to a classic, technical ascent of the highest mountain in England, Scafell Pike, via the Corridor Route. After summiting Great End, crossing a boulder field, and almost summiting Bow Fell, a scree descent led to one the best singletracks in the Lakes. Next was the Climbers' Traverse, then the Band, before runners descended into Great Langdale and a feed station outside the historical Stickle Barn pub. By the time front-runners Evans and Albon got there, Scotney had already pulled out of the race. It was here that a faster transition by Albon enabled him to create a small gap on his GB team-mate Evans. Sebastian Batchelor was only five minutes behind them. Albon managed to grow the gap gradually on the long climb up Harrison Stickle. 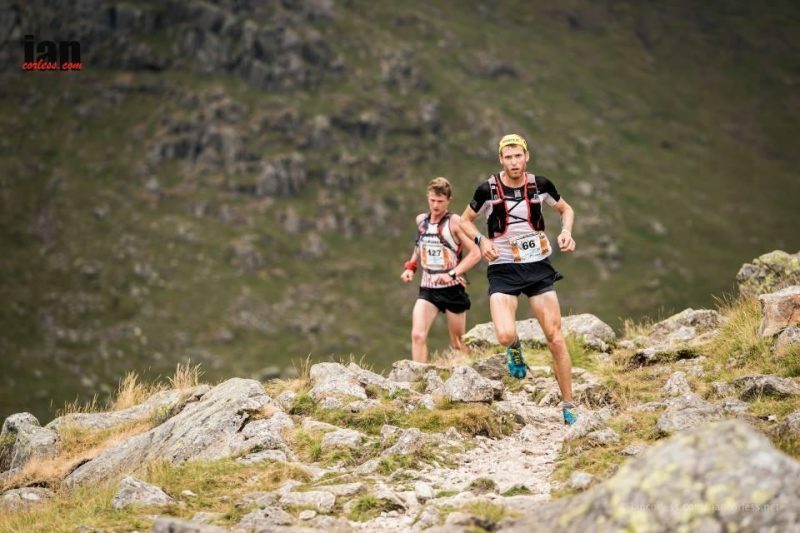 Some less-technical singletrack on the northern side of the Great Langdale Valley seemed on paper to favour Evans, but Albon drilled home his advantage, arriving at the finish in Ambleside in a new course record of 04.26:50. “It was an amazing race,” said Evans, who placed second, in 04:39:57. “It's different to what I normally do and a course of two halves: the first half was super-technical, and I was way out of my comfort zone, which is great. The second half is more runnable and more suited to me, but it got hot and I slightly misjudged my hydration strategy. I'm super happy though. It's my first ever skyrace and it was great to race against Jon.” Sebastian Batchelor (GBR) was third in 04.59:50. In the women's race, Tindley set the early pace, with Fawcett and Slater in close attendance. But Tindley dropped out after climbing Harrison Stickle. Slater, too, seemed to be suffering on the big climb out of Langdale. Henriette Albon, meanwhile, started conservatively but gradually moved ahead of them all. 46 runners failed to complete the SSR course. 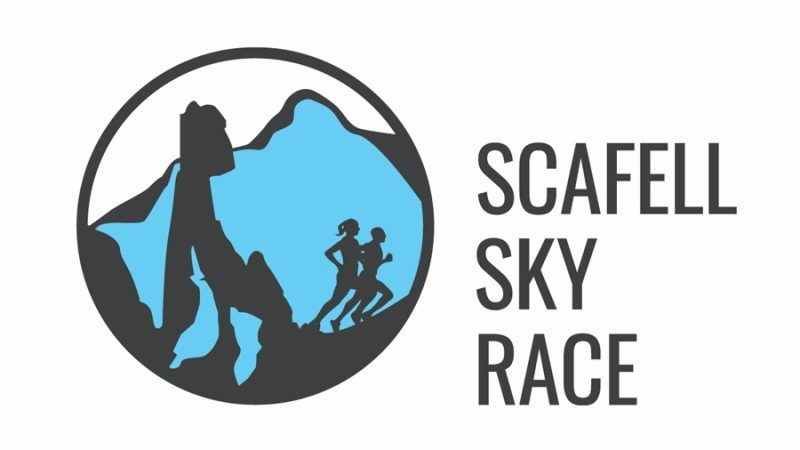 The Scafell Sky Race (SSR) is a 42km skyrunning race with 3,000m of ascent on challenging, often technically extreme terrain in the Lake District National Park, going over England's highest peak, Scafell Pike (978m). 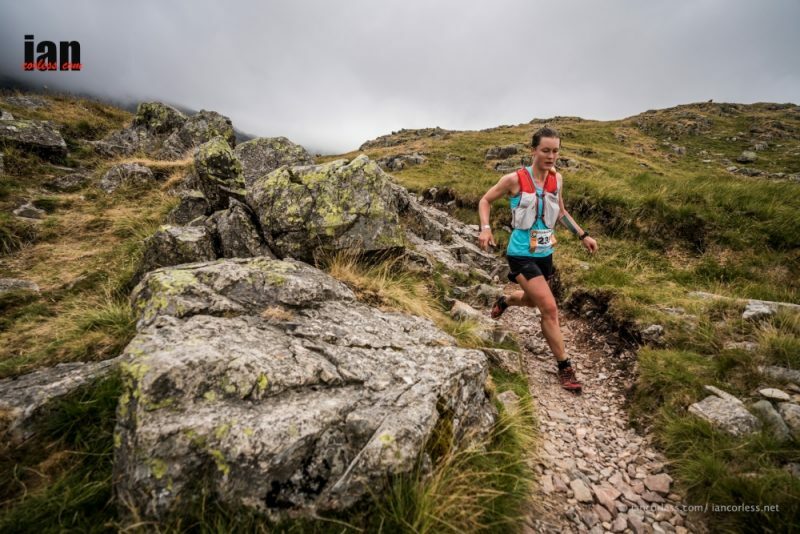 Skyrunning in the Lake District is a combination of mountain running and mountaineering, which includes low grade rock scrambling. 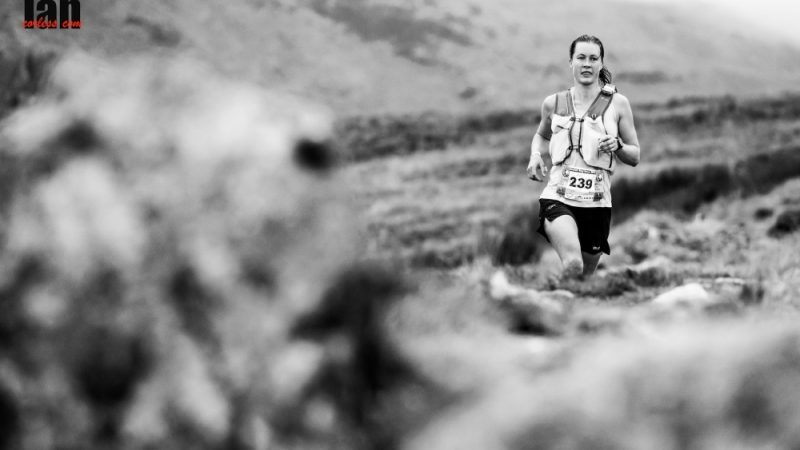 SSR is an introductory to intermediate-level skyrace and part of the UK Skyrunning Series.